Often when an airline rolls out a new aircraft type, it’s done with great fanfare. It’s not every day that a new airplane gets inducted into the fleet, after all. Delta put its A220 (TAFKACS: The Airplane Formerly Known as C Series) into service last week, and it has been promoting the launch as you’d expect. But it’s really a combination of the aircraft’s built-in customer-friendly features plus the forward-thinking work Delta has done in outfitting it that makes this such a great branding exercise for the airline. It’s hard to imagine one of the other big carriers in the US being able to pull this off the same way. At Delta, the A220s will help supplement the 717s already flying (and will eventually replace them). They will also take over some flying from retiring MD-88s. All of these airplanes have 5-abreast seating, so chances of getting a middle seat are low. Even though it isn’t a change from the MD-88/717, it’s still a sharp contrast to the 737 and A320 family aircraft that most other airlines are flying with twice as many middle seats. It’s something Delta might as well talk about since nobody else in the US is taking delivery of the airplane just yet. The biggest news, however, is the amount of personal space onboard. These seats are very wide (18.6 inches) and have generous pitch (32 inches) in coach. That’s more than an inch wider than what you’ll find on 737s and up to a couple inches greater pitch than what you’ll find in coach on American’s newest configurations. While the seat width is really set by the cabin size, the seat pitch is entirely within Delta’s control. Another thing under Delta’s control is inflight entertainment. While airlines like American proudly announce they’ll remove seatback video systems in favor of streaming to consumer devices, Delta is giving people both options. And the A220 is Delta’s first attempt to show off a new wireless seat-back system. Each seat has its own large screen, but there are no wires and no boxes under the seats ruining legroom. That makes it easier for maintenance purposes and more comfortable for travelers. This effort has done nothing but help boost Delta’s standing in the public eye as having the best customer experience among the big three US carriers. That’s not to say there isn’t a downside. If people hear about the A220 too much and then end up on an MD-88, they might be wondering what happened. But the positive vibe around the brand is well worth it for Delta since much of its fleet already offers a consistent experience, and this is just the next step forward. This rings particularly true when you look at the other big airlines, American in particular. American has a very inconsistent experience across its fleet (if you’ve flown a legacy US Airways A321, you know what I mean.) American’s goal now isn’t to innovate and bring in new customer-friendly experiences for its travelers. Its goal appears to be simply to catch up and be consistent with an offering that includes fast wifi, power ports, and streaming video on the domestic fleet. That’s a nice baseline, but it’s hardly inspiring. And when American rolls out a new airplane like the 737 MAX (not an entirely new type like the A220 but still something new that the airline could have used to promote a forward-thinking stance), it really doesn’t have much to say. Without any positive news, the media seized on American’s initial plan to put 29-inch pitch in some rows of coach (which didn’t happen) along with the tiny lavs onboard (which other airlines use as well). There wasn’t much to brag about, so the negative shaped the headlines. Those headlines have added to the narrative that American is falling behind, just as the headlines for Delta’s A220 have helped the airline strengthen the already-strong brand image that it is an innovator and leader in taking care of its customers. Delta was certainly smart to take advantage of the built-in customer-friendly features of the A220, but it went a step beyond. And it is going to be rewarded for that. If you think Delta’s are customer friendly, just wait until Jetblue takes delivery of their -300’s. I’m not normally one to get caught up in hype like this, but I was already interested in the A220 just from all the positive stories around it. This blog is the first I’ve heard of the seat width, and as a flyer who (thankfully) does not need a seatbelt extender, but who is roughly twice the weight I should be at, the seat width alone will be enough to make me pay more to fly the plane… Within reason (~30″+ pitch), I’ll opt for wider seats over greater pitch or other amenities any time. On a serious note, is there a chance that other airlines, like ULCCs, may opt to configure the A220 into a 3-3, 6-across seating configuration? Also, and I realize how crazy this might sound, would it be possible for Airbus to add a few more fuel tanks, up the MTOW, and make this a potentially economical option for (very) thin trans-Atlantic flights? From my understanding, the aircraft width will only permit 5 across seating. Now, ULCCs may try to jam more rows in but the 5 across seating will never go away. Regarding TATL flights, the A220 is actually ETOPS 180 approved (Canada only, FAA pending) meaning that it could fly TATL if it wanted to (London to NYC) without any additional modifications. In fact, it’s range is a whopping 3200 miles. I know when Bombardier did their proving runs in Europe, they specifically used LCY (London City Airport) as one of the focus cities. I think it’s just a matter of time before BA replaces their A318s on their BA1 flight from LCY to JFK. You would need to take 2.6″ from each seat and 3″ from the aisle to have six 16″ seats in an aisle. This won’t happen. Kilroy – As others have said, this airplane can’t do 6 across. I feel like Bombardier may have purposefully designed it that way, which is an interesting move if so. 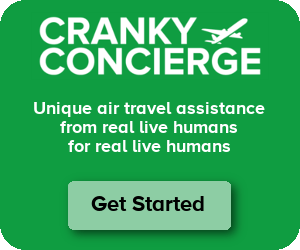 Cranky, do you know how many of these jets Delta has on order? That’s what I was hoping, but good to confirm. Thanks. Miss – Remember that 32 inches isn’t the same as 32 inches from years ago. The pitch is from one point on the seat to the same point on the seat behind, so it includes the width of the seat itself. As seats have become much thinner, seat pitch can shrink without impacting legroom. But I think it’s safe to compare a new 32 inch pitch on the A220 to say, American’s 737 MAX 30 inch pitch so those are all newer generation seats. Whoever designed the latest 737 lavs should be punished severely, preferably by being made to have one installed in his home a la John Travolta and his regular toilets and sinks removed. Apparently I’m in the minority, but I do my best to avoid using airplane lavs, even on trans-Atlantic flights, and can’t recall using one in the past 5+ years (covering dozens of flights, mostly domestic US but also including US East Coast to the eastern Mediterranean). Given that airplane lavs appear to offer less personal space than is available on NYC subway cars in rush hour, I’m willing to risk/endure slight dehydration to avoid the airplane lavs. Just got off a 16 hr flight on a Qatar 773. Lavs were very comfortable. Granted, I was in business class, but I have been on US major airlines’ 777 in business class and found the lavs limiting (and dirty). >They will also take over some flying from retiring MD-88s. NOOOOOOOOOO! the Mad dog 88 was the first airplane I flew in, and still my favorite. That thing has power, and IIRC an unlimited number of pressure cycles too. It also had a distinctive look to it, the A220 share the same look as most other liners today. Oh well It’s not like I’m flying delta due to the NRA thing anyway. will be flying AA LUS 757 to hawaii from PHX……sad even in F.
Well, frankly, if I had read about the C-Series, but ended up an MD-88/717, I’d be perfectly content; I’ve always liked those aircraft. 2-3 counts for a lot in my book. Agreed. 717/MD-99/MD-90 are some of the best AC in the air. Fly up front on one of these birds and you will wonder if they have engines (you only hear the wind). Wireless screens without boxes: where do they get power from? Ron – That comment is correct. Power is still wired. But the way it works is that the power source goes into the seat and then the screen can be removed. If the screen breaks, it’s really easy, they can even swap out with another unit. Delta has a lot to crow about with the A220, for good reason. Last year I flew their new A350’s and that was much more ho-hum. It was a new type but in coach on a 14 hour flight I’m not sure any airline is truly amazing. Personally can’t wait to try out the 220. Will also second the seat width a big thing with growing waistlines. It’s more about the stranger who will be seated next to you. Extra inches matter and Airbus and Boeing would be wise to make sure the cross sections of new aircraft support wider seats without extra space to add another seat – looking at you Boeing with the 10 across seating on the 777. Unfortunately that’s impossible. Once you get above a certain width, the will always be at least two plausible numbers of seats that can fit abreast. The A220, A320, and 737 are narrow enough that there is only one possible solution for each. The 767 lies right on the edge. Anything 787 or wider will always have more- and less-generous layouts. So don’t blame the manufacturers; this decision lies with the airlines. Hey Cranky… is this a big deal? Mark – No. You could already buy a ticket on Qantas that included Alaska flights. Well, I guess some airplanes buyers understand the way to please the Economy Class voyagers is to gave them more comfort ans space instead to fit them in sardines can! The sardines can’s system is good for companies only but certainly not travellers. I hope a day will come when will chose the type of airplane, instead then to be imposed! Those A200 series are fantastic engineering made in Quebec. Bravo guys! The Delta voyageurs will be lucky to be the first to use those marvel in USA! I’m looking forward to flying this plane someday in the not too distant future, even in C+. Luckily, it’s coming to my home airport in June. Just flew a 737-800 with the new tablet-holder seats AUS-MIA and an A319 back. Was a definite “you can’t win” case: the seats were narrower on the 737 of course, but the 319 had crap seat pitch (I would have taken a photo of how my laptop was set up but had no space to do so) and huge IFE equipment boxes. The saving grace on both planes was $7 ViaSat WiFi (for all but maybe a half hour of the flight). Tablet based IFE is looooong overdue. Pretty sure United’s 777 premium economy seats are 0.1″ narrower than the A220’s economy seats, too. As a market that has a fair number of 717 flights, Bombardier’s deliveries.to Delta can’t come soon enough. Not that the 717 is a bad plane, but the 220 is just great. One interesting thing Delta could do with enough of these is compete with Alaska on frequency out of SEA. Though they have a lot of destinations to serve first before they get that far. Is there any specific reason for 5-abreast seating to be either arranged 2-3 or 3-2? Looking on seatguru, the MD-88 is 3-2 but the MD-90, 717, and A220 are all 2-3. In terms of overall numbers of aisle/middle seats it doesn’t matter of course, but if a MD-88 is swapped for a MD-90 (say), then all the D seats which used to be aisles are now middles. Last time I flew on a plane with a window in the lav was an Air Ukraine TU-154 from Kiev to Warsaw. Wouldn’t wish that on my least favorite friend. The TU-154 was noisy and I swear it had a dump toilet if so, made me feel good that the effluent left the plane over Belarus. If that was what Delta is emulating, yikes! The real story of the A220 is its incredible economics which are far better than anything in its size class and that will be even more true as Delta receives the 130 seat version. The best-in-class economics allow Delta to be generous with seat space but also to use it in highly competitive markets. The A220 will allow Delta to have similar seat costs as larger 150-160 seat aircraft but with the need to fill far fewer seats and supporting higher average fares. Delta is rolling out the A220 first in NYC and esp. to/from DFW, Houston, and Boston with later flights to other Delta hubs. The A220 will replace some of Delta’s longest E175 flights, freeing up block time for more shorter flights but also increasing capacity in key markets without throwing large aircraft into the market but still larger than large regional jets. With transcontinental range – and even transatlantic range with a reduced seat count, Delta has lots of possibilities of how they can deploy the A220. It is rare that a small plane in an airline’s fleet becomes the center of focus but the A220 will become very popular. Delta’s promotion of the A220 takes away the ho-hum nature of domestic travel. On the heels of your article about United’s decision to turn CRJ700s into 50 seat premium configured aircraft, the debut of the A220 will give Delta a cost and product advantage that will keep going for years to come – esp. since JetBlue is the only other currently operating US airline that has an ordered a new generation small narrowbody and they won’t receive their first copies of the A220 for several more years. From a customer perspective the A220 seems like a nice aircraft. I look forward to flying on one. But how does it perform from a financial perspective? I consider myself a quasi-airline dork, but even I have a hard time keeping all the aircraft models straight in my head, especially the smaller aircraft. And I fly every week or two. I am certain that 99% of pax have less aircraft knowledge than I do. But even with my superior aircraft knowledge, the total number of times that the type of narrowbody jet aircraft I will be flying on has influenced my buying decision is exactly zero. Sure, I could believe that a jet is going to have an advantage over a prop (that’s been proven, I think). And maybe a widebody can have a marketing advantage over a narrowbody. But I’m skeptical that an obscure narrowbody like the A220 is going to sell many (any?) seats. Honestly, for short haul flying, the type of aircraft is probably the least important part of the buying equation. Schedule and price are always going to win. So while I can see some modest benefit of this aircraft to the Delta brand, I think the economics of the aircraft will be far more important to its success (or failure). iahphx – Apparently it’s quite the rock star. Seat costs are at least as good as on a larger 737/A320 type, if not better. I think Delta bought it because they believed it would be good from a CASM perspective plus they got it for a really good price from Bombardier from what we understand. They made the 717 work, they’ll be able to make these work as well. But, you’re right, price and schedule are usually the first reasons one buys a plane ticket. But, all else being equal, I have been known to buy away from a 737 since I hate them or a CRJ since they are torture tubes.